Fr. 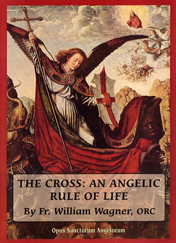 William Wagner, ORC:The faithful angels always lead man to the Cross of Christ. They teach us likewise to face the crosses of daily life with fortitude. Both Scripture and the desert Fathers help us to discern the voice of the holy angel from the fallen angel.